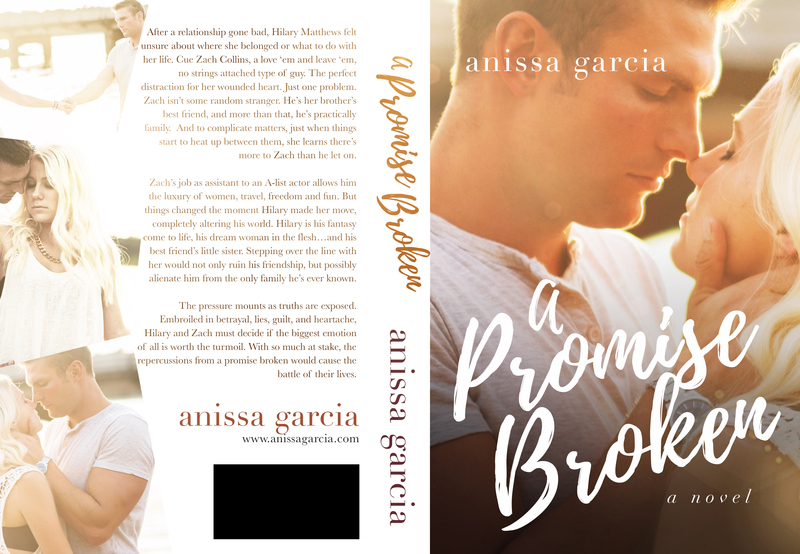 COVER REVEAL & first look at A Promise Broken by Anissa Garcia! 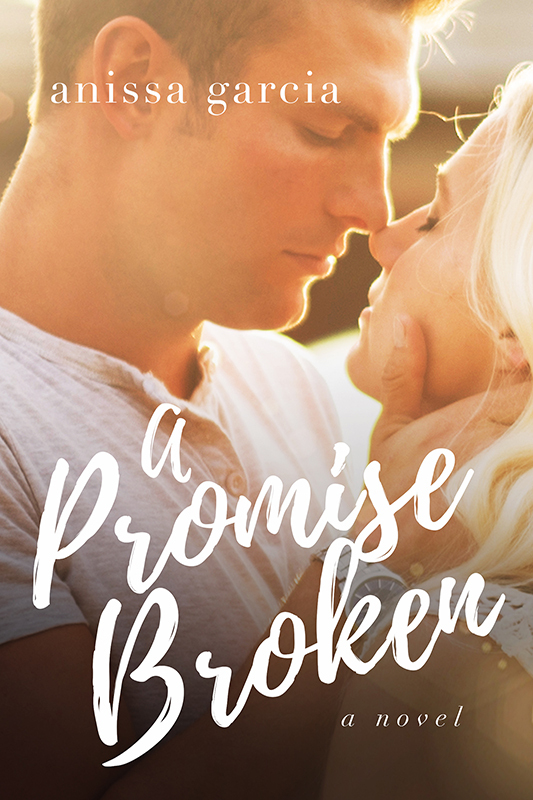 Keep reading to get a sneak peek at A PROMISE BROKEN and to enter the giveaway for a $20 Amazon gift card! Zach’s job as assistant to an A-list actor allows him the luxury of women, travel, freedom and fun. But things changed the moment Hilary made her move, completely altering his world. Hilary is his fantasy come to life, his dream woman in the flesh…and his best friend’s little sister. Stepping over the line with her would not only ruin his friendship but possibly alienate him from the only family he’s ever known. 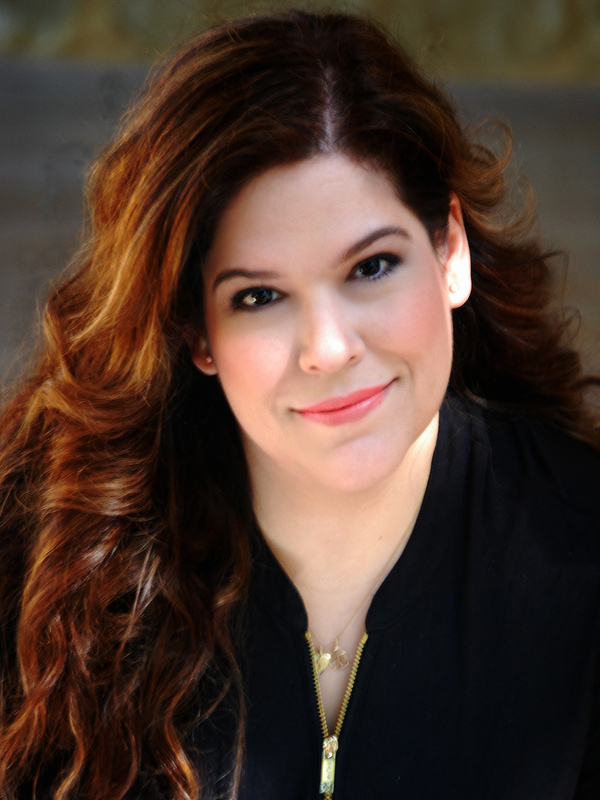 Anissa Garcia resides in Austin, Texas and earned her Bachelor’s Degree in Speech Communications and English. She has held an array of jobs including Public Relationship Manager for Barnes and Noble. Wanting a change of pace, she moved to Los Angeles where she attended The American Academy of Dramatic Arts and trained full-time in the theater. After working in Hollywood, she returned to Texas where she has written articles for Cosmopolitan and Lady Couture. When not writing stories, watching movies, or drinking a latte, she loves to daydream about romantic fictional men. You can find her online at http://www.anissagarcia.com. Next post$50 GC and NEW RELEASE I LOVED by CC Wood! !